The higher Working Load Limits (WLL) of Pewag Winner-Pro Grade 120 chain and fittings (50% more compared to Grade 80) allow significant weight reduction. Reducing the weight of the chain sling makes the assembly easier to use for the end-user. Additionally, the profile of the chain improves its bending resistance. This is significant when loading the chain over a corner. Because of the intelligent use of material, the major characteristics of the chain (i.e. fatigue resistance and bending resistance) were improved in a remarkable way, especially when you compare the cross section to that of round steel chain. 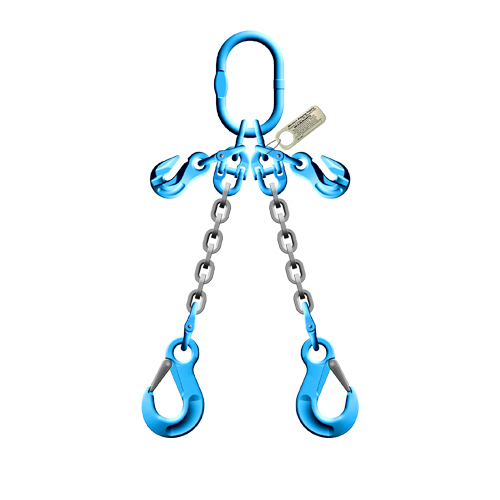 Perfect for overhead lifting or even heavy tie down applications.